KOL (Key Opinion Leaders) are powerful influencers on Chinese social media platforms, including WeChat, Weibo, Yizhibo and Miaopai, etc. Many businesses are looking for agencies and platforms that can help them find suitable KOLs, run a KOL campaign and reach Chinese consumers. 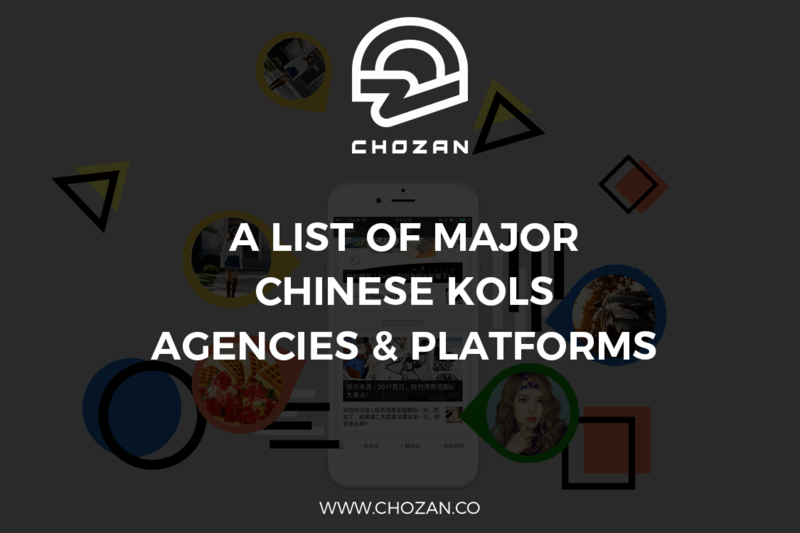 We’ve compiled a list of major agencies and platforms focusing on Chinese KOLs. Their services and specialties are highlighted to help businesses choose a suitable KOL agency or platform for their needs. They are listed in alphabetical order. Intro: Antipodal Talent is a U.S.-based creative and talent management agency that helps Western companies successfully enter and promote themselves in the Mainland Chinese marketplace. Antipodal Talent’s primary mission is KOL management and they represent a variety of KOLs, including models, actors, influencers and Internet celebrities, many of whom are active live streamers. Services: KOL and Internet Celebrity Talent Management, KOL Marketing Strategy, KOL Live Streaming Campaign Management. Platforms: Weibo, WeChat, Yizhibo, Youku, Huajiao, Inke, Miaopai, Taobao, Tencent TV, etc. Industries served: Consumer Electronics, Cosmetics, Fashion, Food & Beverage, Mobile Apps and Mobile Games. Key Competitive Advantage: Antipodal Talent started out as a talent management agency and has direct contractual relationships with all the KOLs and Internet celebrities they work with. They are pioneers in the Chinese live streaming space – having managed the only official foreign talent union on the Huajiao live streaming network as well as having a founder who is the only officially registered foreign live streamer on Taobao Live. They pride themselves on being upfront with their clients about the many challenges foreign companies face in China, especially those venturing there for the very first time. Their #1 goal is to help their clients be successful, even if that means advising them not to proceed. Tips: They’ve written several articles about using KOLs in China, including one entitled “How to Select an Internet Celebrity for Your Chinese Social Media Campaign” , and appeared in a TechCrunch video entitled “Live-streaming in China” . Current clients include: Huajiao, NetEase, Todd Anthony Tyler, Daniel Ramamoorthy, Nolcha Shows, WiredIn, BlockAdblock.com, Roker Media, MMC. Intro: They’re a Taiwanese company providing influencer marketing strategy and other related service for clients who wants to broaden their business in other Asian countries. Services: KOL Research, KOL Management, KOL Marketing Campaigns, KOL Marketing Strategy, KOL Database, etc. Platforms: Weibo, WeChat, Meipai, Yizhibo and other live streaming platforms. Industries served: Beauty, Travel, Fashion, Childcare, Technology, Food. Key competitive advantages: They’re in touch with KOLs from Mainland China, Hong Kong, Taiwan, Japan, Korea and South-east Asia. They specialize in helping clients broaden their business, arouse brand awareness and boost sales across Asia. Tips: Find the right KOL. Let them create content in their original style while retaining key information. Keep it authentic. Current clients include: Estee Lauder Taiwan, L’Oreal Taiwan, Kao Worldwide Taiwan, Nestle Taiwan, etc. Intro: iconKOL is a marketing and advertising company that works with China-based bloggers, foreign brands and companies and brings them together for advertising collaborations. Services: KOL Search, Customized KOL Marketing Campaign, KOL Database, etc. Key competitive advantages: Most companies have already discovered the power of influencer marketing. This concept isn’t new, but what is new is a systematic approach to it. They offer marketers a way to save their most valuable resource: time. Finding the right blogger and getting in touch with them is one of the most time-consuming parts of the job but, with our help, marketers can quickly find key opinion leaders in the industry they work in and leverage them to engage the end consumer. Intro: KOLSTORE领库 is a Chinese KOL advertising platform. They have information of more than 200,000 KOLs. 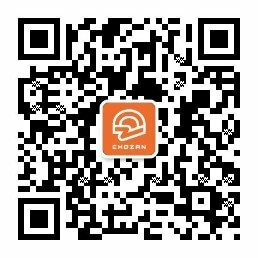 covering Weibo and WeChat. They base their analysis on social influence and ad deal data to help brands better connect with suitable KOLs. They’ve worked with more than 10,000 advertisers and PR & Advertising Companies so far. Services: KOL Search, KOL Database, etc. Industries served: Entertainment, Film and Television, Fashion, Music, Games, Technology, Finance, Sports, O2O, eCommerce, FMCG, etc. 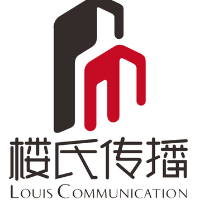 Intro: Louis Communication is a communication company that provides KOL services for clients. They have established long-term and exclusive cooperation with nearly a hundred KOLs and celebrities. Key competitive advantage: Most top KOLs with huge follower bases on Chinese social media work with Louis Communication, including @HuiYiZhuanYongXiaoMaJia (回忆专用小马甲) and @ZhuiFengShaoNianLiuQuanYou (追风少年刘全有). Some have more than 50 million followers. These top KOLs are followed by approximately one fifth of all Weibo users. 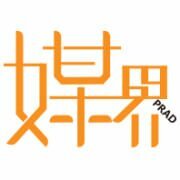 Intro: Myprad is a resources platform for Chinese social media, which provides KOL databases. It’s an affiliated branch of Sootoo which is a social media and online service platform for the Chinese internet industry. 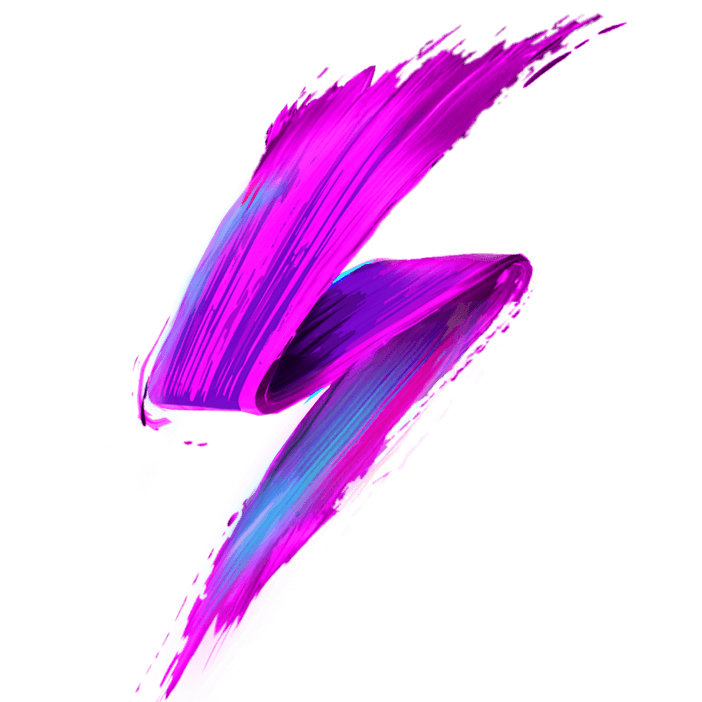 Services: KOL Search, KOL Contact, KOL Database, Internet Celebrities recommendations, etc. Platforms: WeChat, Inke, Huajiao and Yizhibo. Industries served: Advertising, PR, etc. Key competitive advantage: Myprad connects advertisers and bloggers directly, which saves their efforts of finding intermediary agents and avoids price differences. Partnered with: Tencent, Baidu, 360, JD.com, China Unicom, Wanda Group, Tenpay, Meituan, Alibaba, iQiyi, Youku, Legend Holdings. Intro: ParkLU is an easy-to-use KOL marketing platform for brands and agencies to find and engage China’s fashion, beauty, travel and lifestyle influencers. Their data-driven technology matches brands with the right influencers. ParkLU’s KOL marketplace and campaign management tools make it easy to launch, track and report on influencer marketing campaigns in days, not weeks. Services: Self-service and full-service options with a ParkLU subscription include KOL Research, KOL Campaign Management, KOL Content Strategy, KOL Database, Brand Ambassador Recruitment and Management, Top-tier and Mid-tier KOL Engagement, KOL network coverage for Mainland China, Hong Kong and overseas Chinese KOLs. Platforms: WeChat, Weibo, Youku, Meipai, Yizhibo, Inke, Xiaohongshu, Meilimeizhuang, Nice, Instagram. Industries served: Fashion, Beauty, Mommy & Baby, Travel & Hospitality, Health & Fitness. Key competitive advantage: ParkLU’s influencer marketplace and campaign system is built by KOLs, marketers, and data geeks passionate about leveraging influencer marketing for brand initiatives. They focus on curating top quality content creators who are pushing creative boundaries in fashion, beauty and lifestyle on China’s key social platforms. (1) KOLs are trusted voices, not media ad buys. Amplify your cooperation by working with KOLs to empower their voice. (2) Clearly define campaign goals and tracking metrics for measurable KOL marketing success. (3) Focus on sponsoring quality content and maximizing the KOL’s distribution to increase earned media. Current clients include: Abercrombie & Fitch, Blue Nile, Esprit, Hyatt, LG, Swire Group. Intro: Robin8 matches global brands with Chinese KOLs to share your content with their social networks. They constantly track and analyze data from the billions of articles that are released every day to create the ultimate curated database of influencers with the help of artificial intelligence, machine learning, and big data. Platforms: Weibo, WeChat, Zhihu, Miaopai, Meipai. 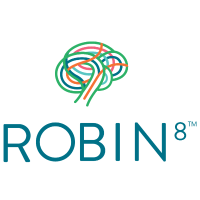 Key competitive advantage: Each time you use Robin8, they learn your preferences, get smarter and generate the best results for your campaign. By understanding the nuances behind every influencer and their interests, they can help make PR a simple four-step process every time. Based in: Head office in London, presence in China and USA. Intro:They are a full service social agency, focusing on audience attention online. Influencer Marketing is one of their main services, working with clients on a global scale, across all social media platforms. For them, Influencer Marketing is more than just reach, impressions and engagements. They pride themselves on delivering campaigns that mean something and drive tangible and trackable business results. Services: KOL Research, KOL Management, KOL Marketing Campaign, KOL Marketing Strategy, KOL Database, etc. Platforms: Weibo, WeChat, RenRen, QZone, YouKu, Tudou, etc. Industries served: Sports, Gaming, Fashion, Travel, Luxury, Automotive, FMCG, etc. Key competitive advantage: They practice what they preach and share their journey as an agency unlike any other. Tips: Cut through the noise with content and campaigns that add value to everyone involved – the client, the influencer and most importantly the audience. Current clients include: Huawei, Unilever, Diageo, Tencent. Intro: Toutiao Kol is the first resources platform for top influencers on Toutiao. They have information on hundreds of the most influential Toutiao accounts. Industries served: Movies, Entertainment, Childcare, etc. In addition to KOL agencies and platforms that focus on KOL marketing in Mainland China, there are many Chinese Social Media Marketing agencies that provide KOL and blogger management services. If you are interested, please visit their website or contact them by email to get more information. They’re listed in alphabetical order below. KOL promotion is effective thanks to their large follower bases and credibility. There are still many other Chinese KOL agencies and platforms. We will keep updating this list. Also, if you know other KOLs agencies and platforms to recommend, please comment below and let us know. We are looking forward to connecting!